"Version 8.5 comes with a fresh new layout, designed to improve usability and to enhance the performance of the desktop web client by reducing its bandwidth usage significantly. 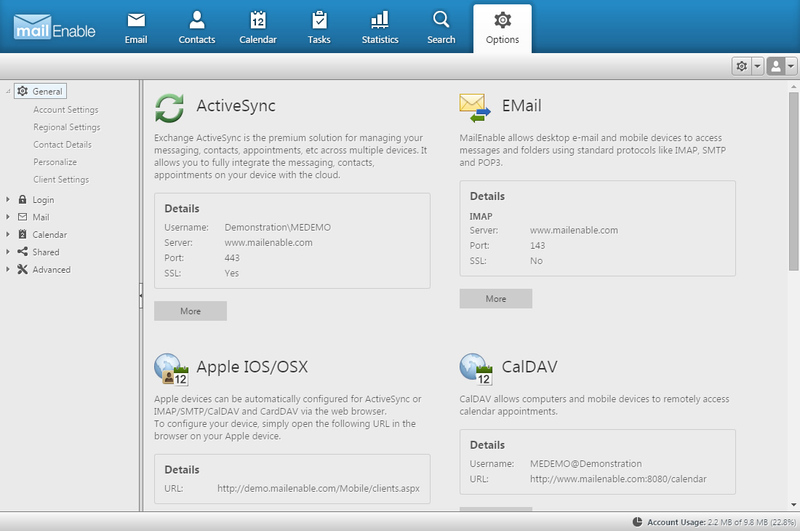 Management is also simplified, with improved Autodiscover features and Mobile Web Adminstration. The feature set in both our entry level and high end products has also been improved." 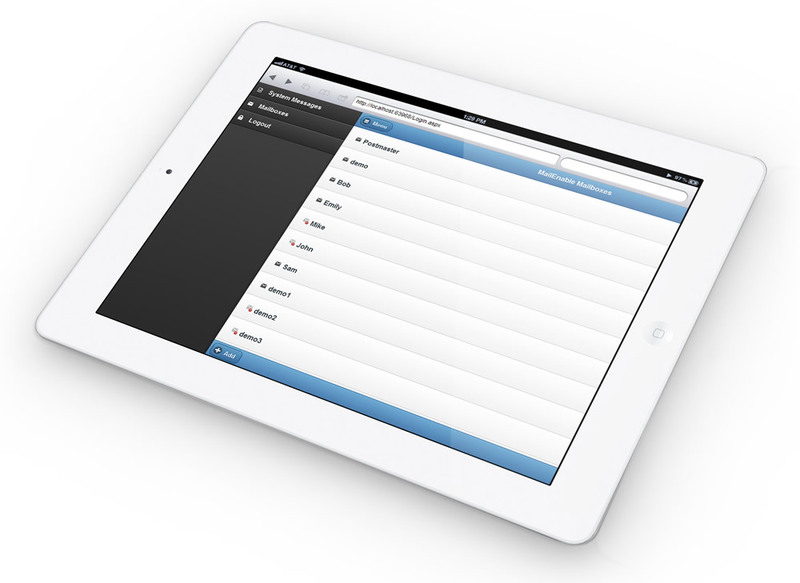 Version 8.5 includes an updated version of the mobile web client which includes support for tasks and calendaring. 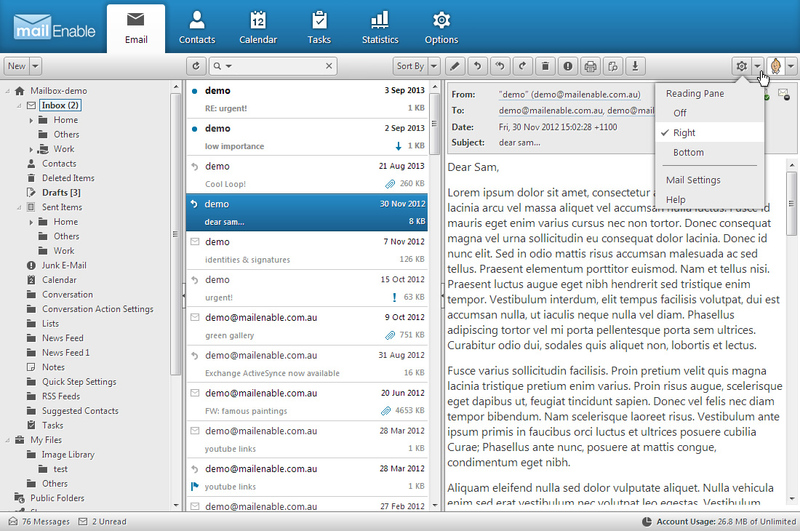 The Webmail client now supports fully indexed searching, and comes with a new modern text editor (TinyMCE). The Webmail client has also became device-aware, allowing Apple users to configure the inbuilt device mail and collaboration client features with a link. When an iPhone user attempts to access MailEnable Webmail, an icon is provided within the Webmail client to automatically configure the iPhone's mail, calendar, tasks and contacts capabilities. MailEnable Standard Edition now includes IMAP support. 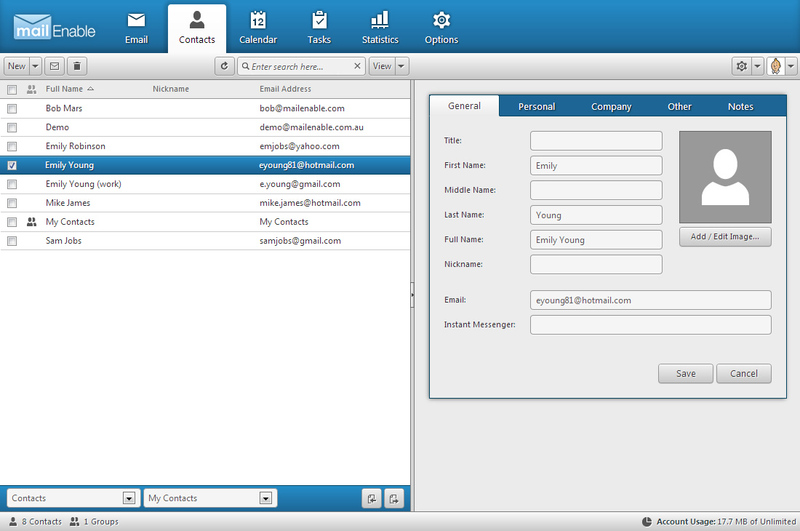 IMAP support was formerly available in Professional, Enterprise and Premium Editions of MailEnable. 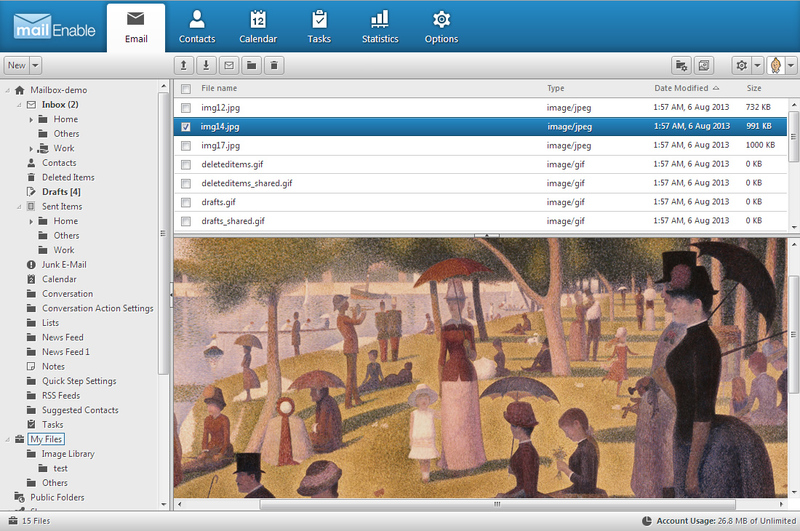 IMAP allows messages and folders to be stored in the Cloud (on the MailEnable Server) rather than downloading messages onto the mail client or device. 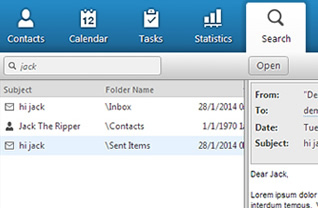 This means that mail messages can be shared across clients/devices and can be accessed remotely via Webmail. 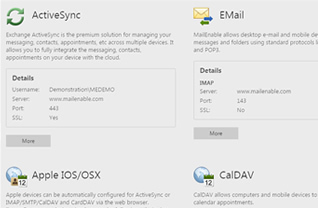 With IMAP support, MailEnable Standard Edition end users can now more easily access their server hosted email on mobile devices as well as with rich desktop email clients. 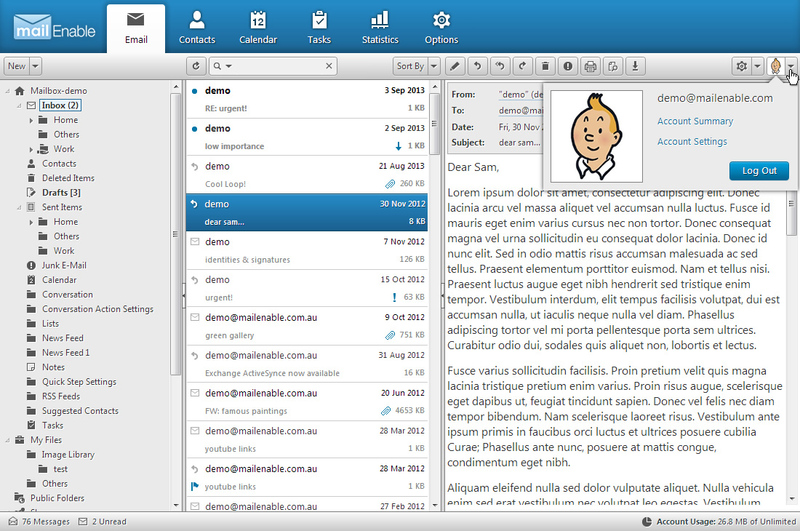 Users are now able to review client configuration settings under the Options menu within the Webmail client. 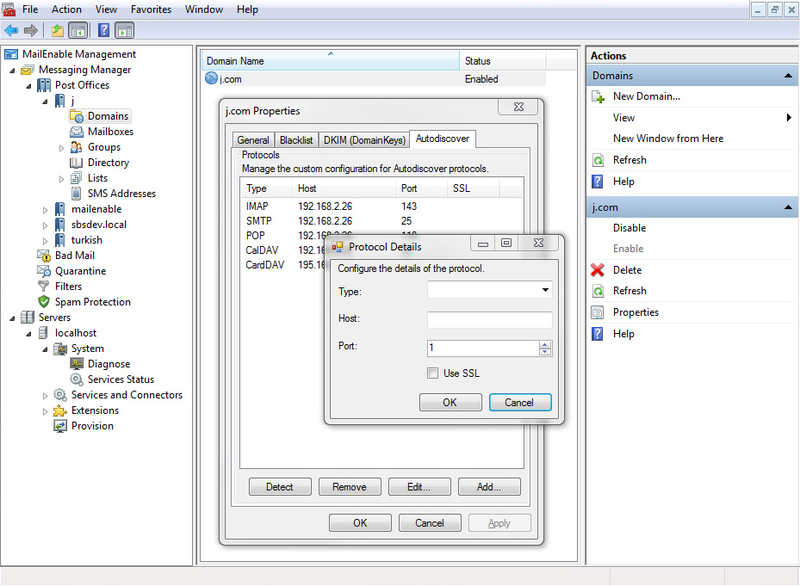 This feature is provided to simplify the process of configuring user devices, and to allow end users to get the most out of MailEnable. 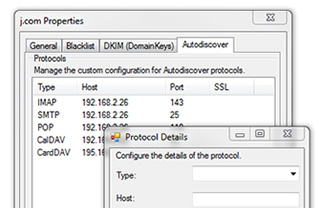 Connection settings for Mail Protocols/Services are shown under Webmail Options menu (they are either detected or can be configured on a Domain basis). 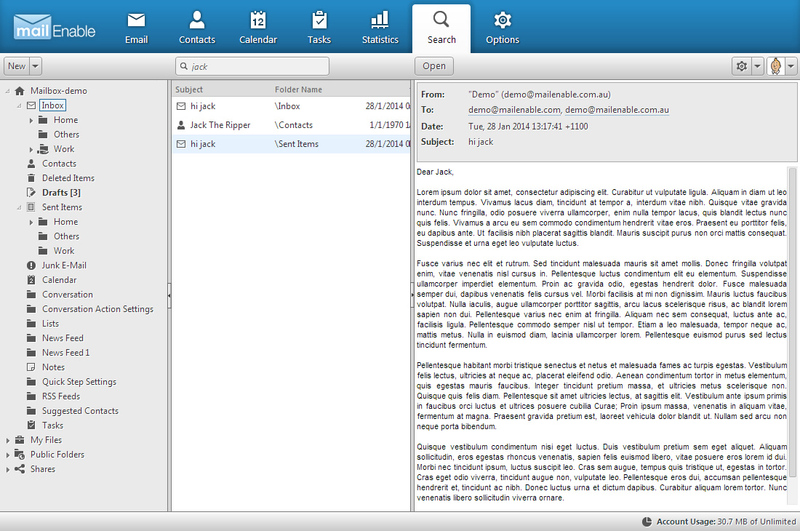 Webmail users now have the ability to search across their entire mailbox for messages, contacts, appointments, tasks and notes. This functionality is also available within the Mobile Webmail client. The powerful search engine returns results almost immediately. MailEnable Version 8 also includes "one-click" configuration for Apple iOS devices. 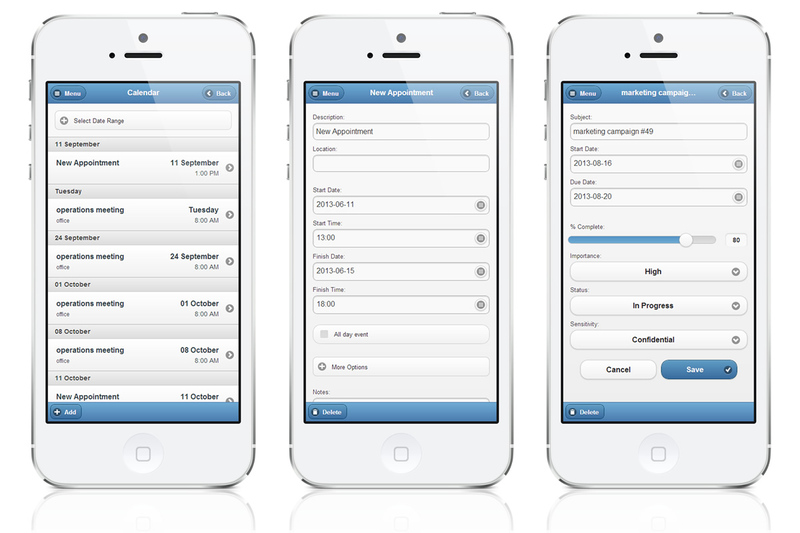 Setting up an iPhone account is now automated whether you are using Exchange ActiveSync or CalDAV/CardDAV/IMAP. This feature means that mail users can now configure their iOS device with CalDAV/CardDAV/IMAP as a single service, simply by clicking on a link within Webmail or Mobile Webmail. 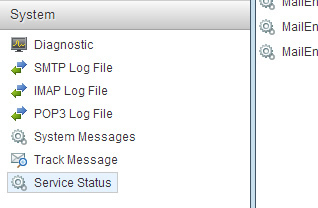 A number of administrative features have now been added to Web Administration including reporting on System Messages, Diagnostic Reporting, and Service Log Files (allowing them to be downloaded in zipped format). 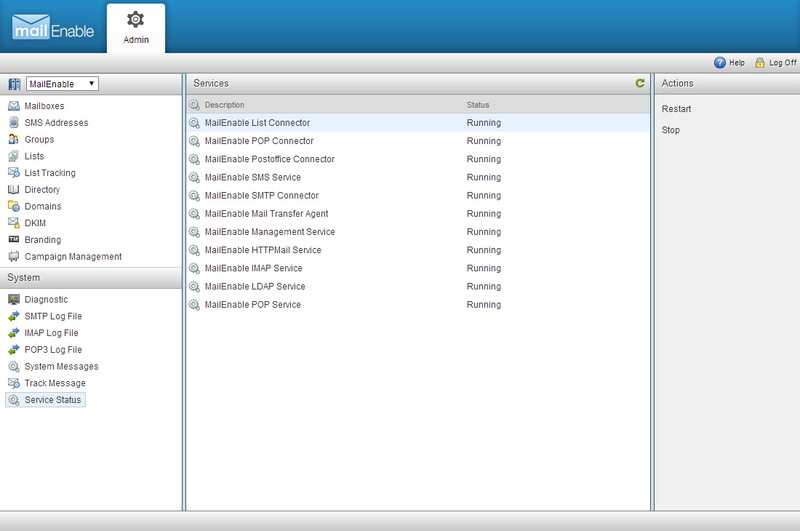 System Administrators are now also able to manage MailEnable’s Windows Services via Web Administration. Administrators are also able to login to Web Administration and access the System Message Tracking which allows analysis of message delivery and routing. 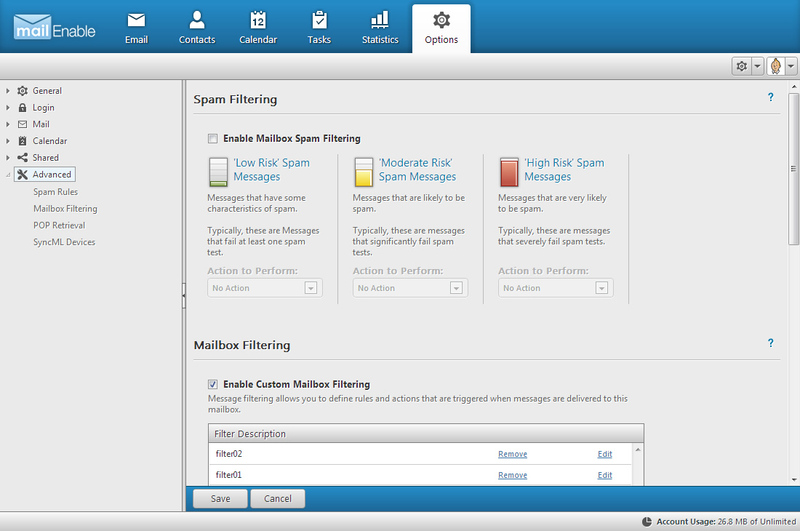 The client automatically detects when a user connects with a mobile device and allows the user to access a simpler version of MailEnable's Web Administration. The following table outlines the availability of Version 8 features in respective editions.